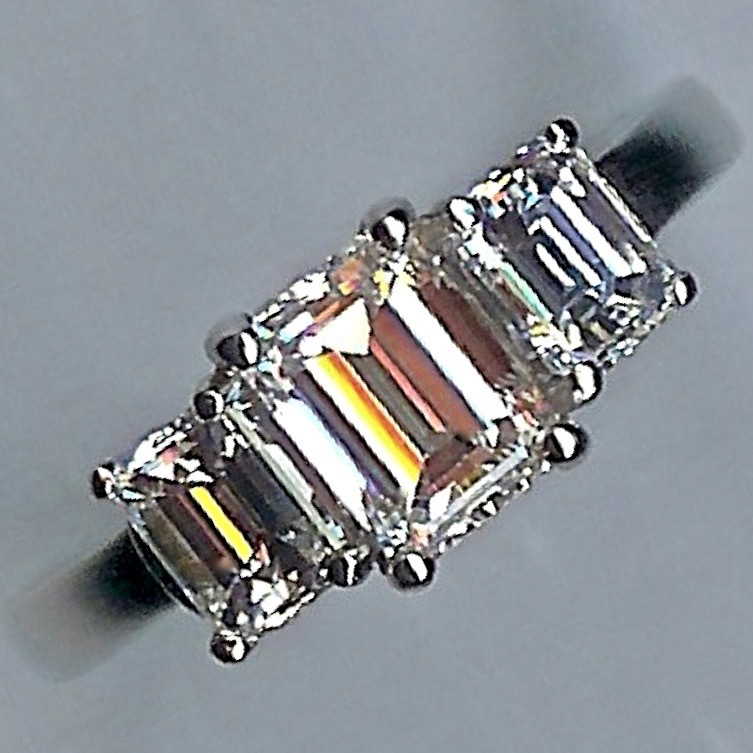 Stunning Diamond Cluster Ring. 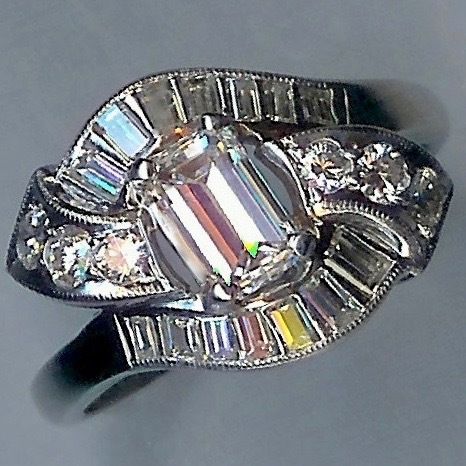 [SH5101] - £1,250.00 : loveVintageDiamonds.com, Your Vintage Diamond Dreams Come True! 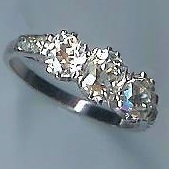 Notify me of updates to Stunning Diamond Cluster Ring. 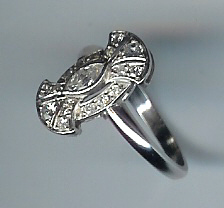 Stunning Diamond Cluster Ring. 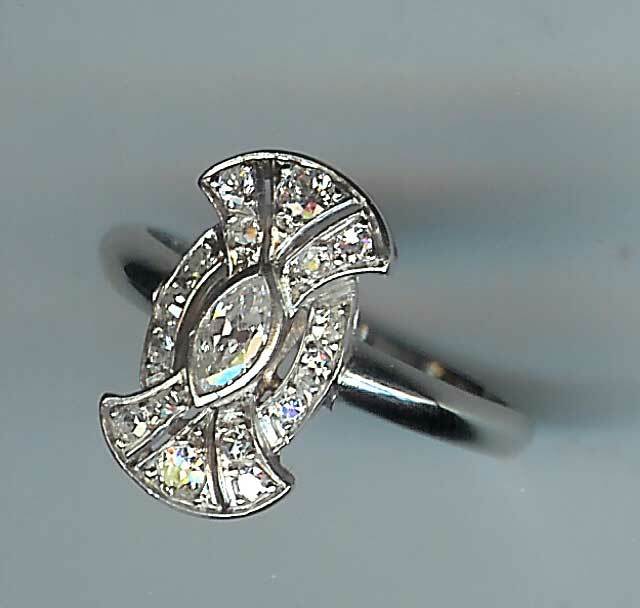 Centre marquise-cut diamond, c. 0.30cts, surrounded by sixteen pavé-set old-cut diamonds in pierced fan shapes. Total diamond weight approx. 0.62cts. 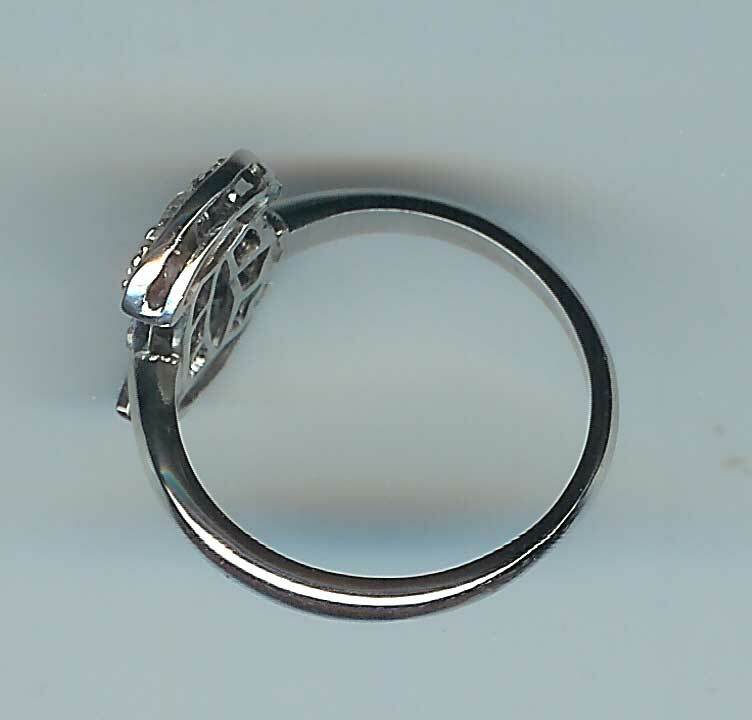 Plain shank is a later addition/restoration to the original vintage crown. All white, 18ct gold. Overall weight approx. 4.5gms. Size ' M '.